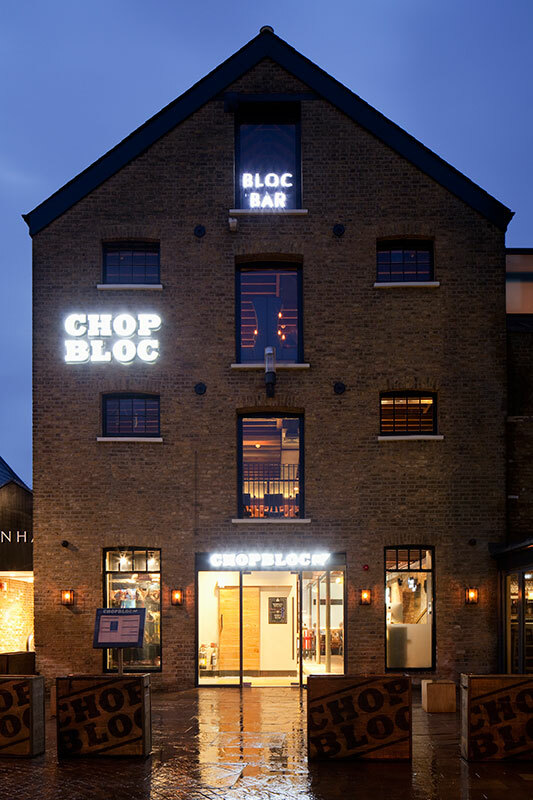 Chop Bloc is a sophisticated yet quirky new steak restaurant and cocktail bar in an 18th century former brewer’s building in Chelmsford. 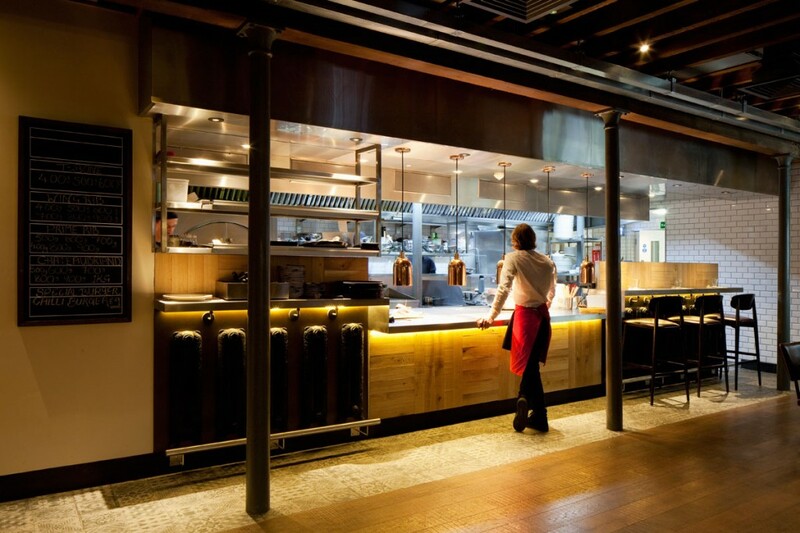 In creating the designs for the interior the focus was on the building itself, and its design and heritage. 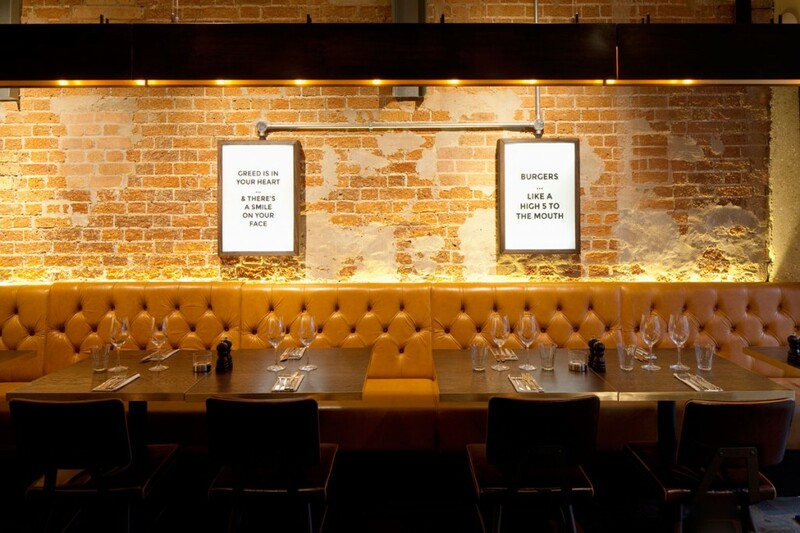 Certain structural elements inspired the lighting design, and in some cases dictated it. 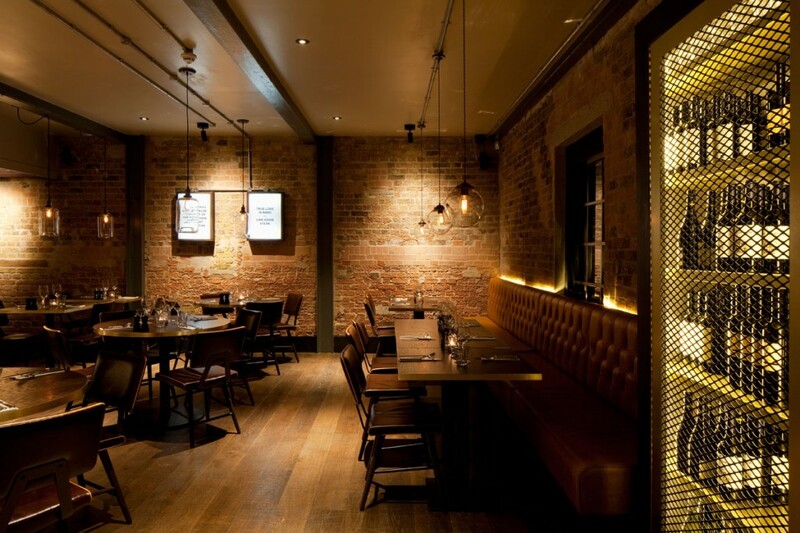 Solid oak beams running across the ceiling led to a focus on feature lighting for ambient illumination, the majority of which was designed bespoke by into. 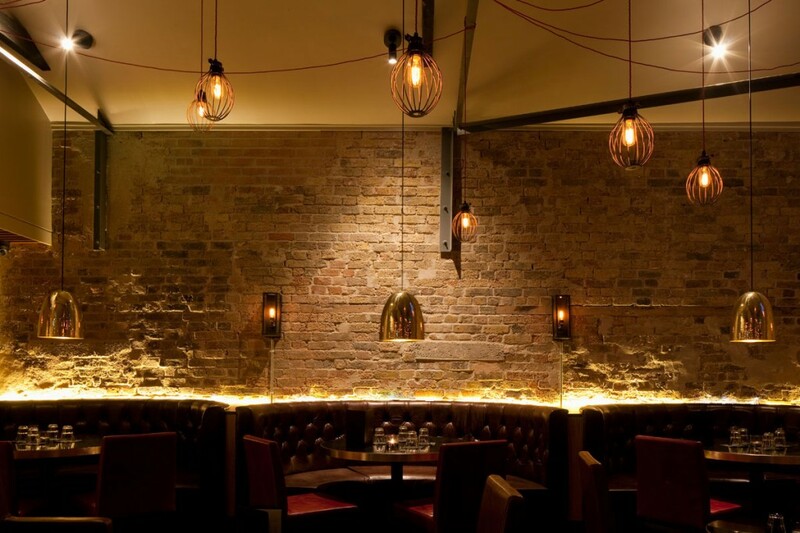 This included a conduit and squirrel cage lamp structure in the entranceway and 2.5m length downwards metal troughs housing halogen lamps over tables. 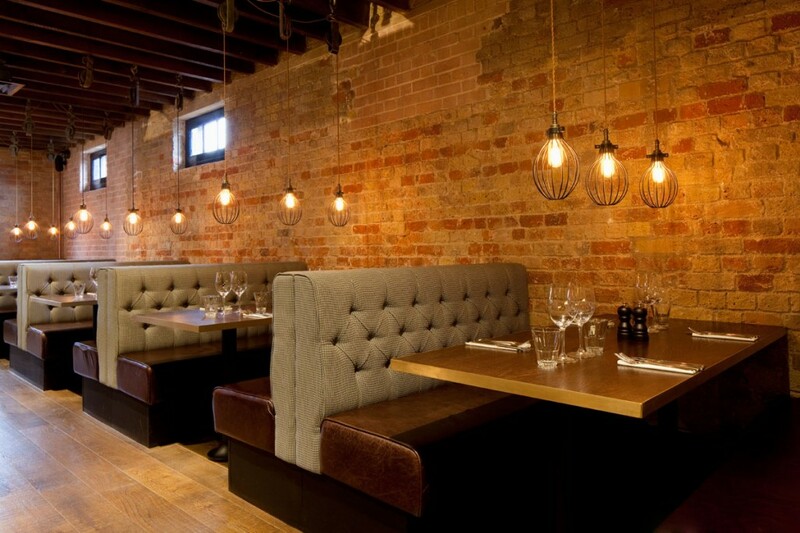 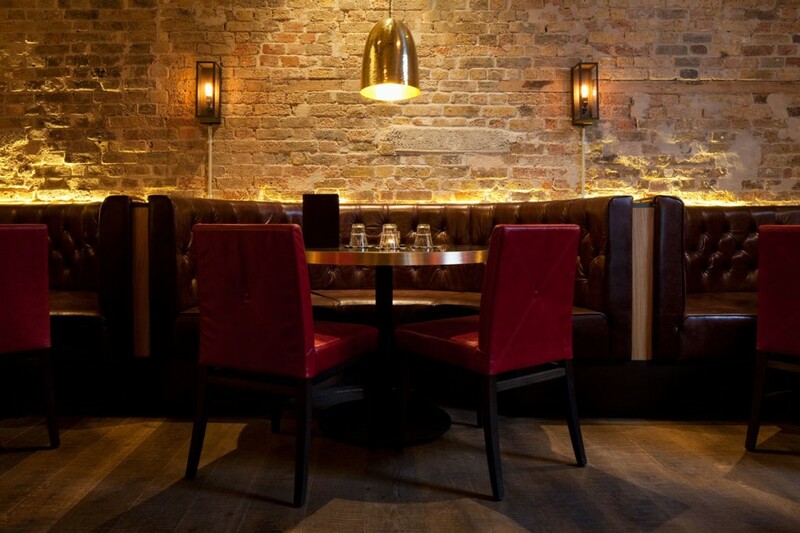 Concealed linear fittings behind banquette seating and spotlights to walkways provide accent illumination, all of which is LED, and washes light over textured walls and surfaces. 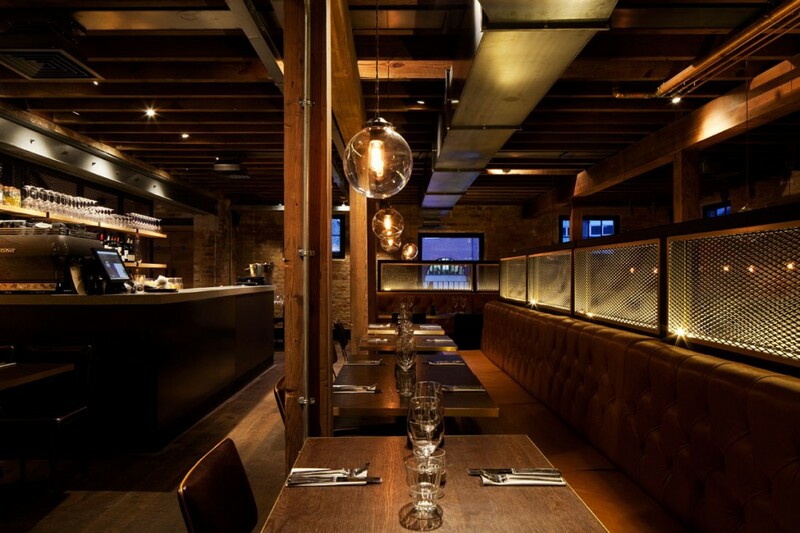 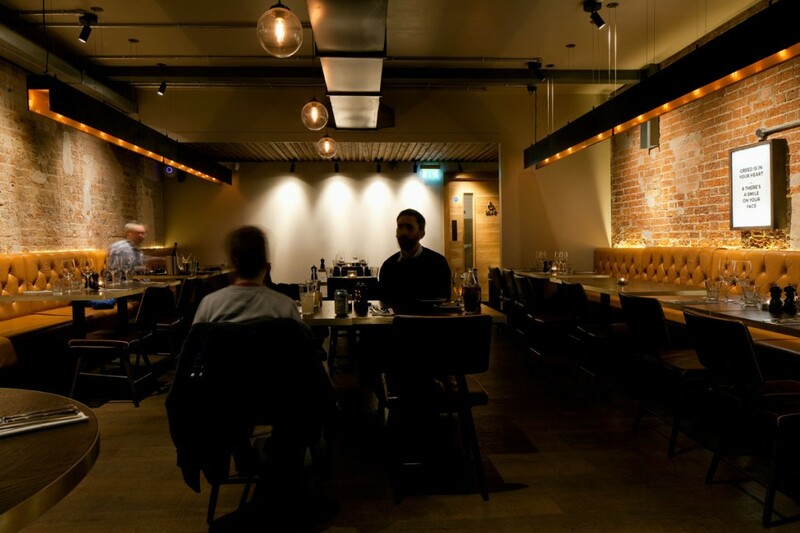 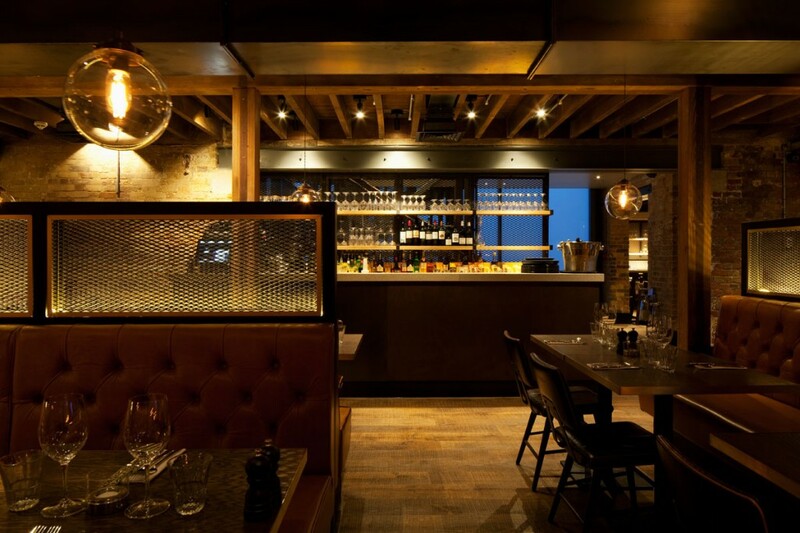 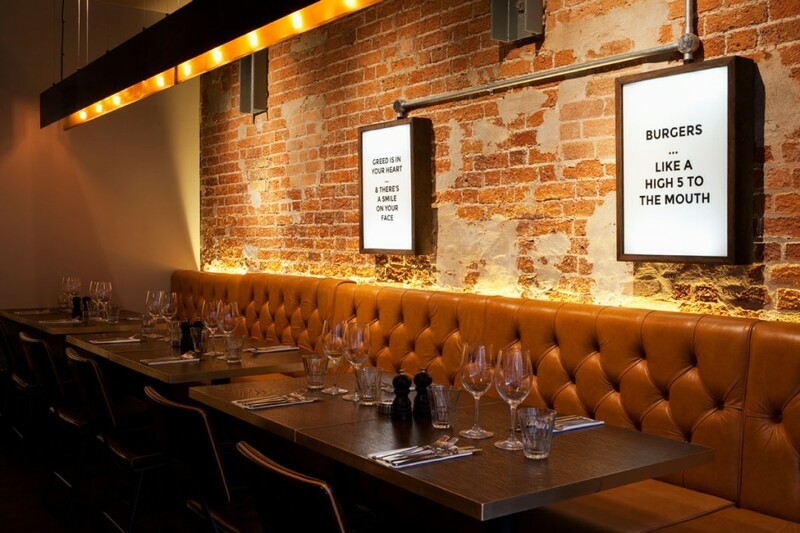 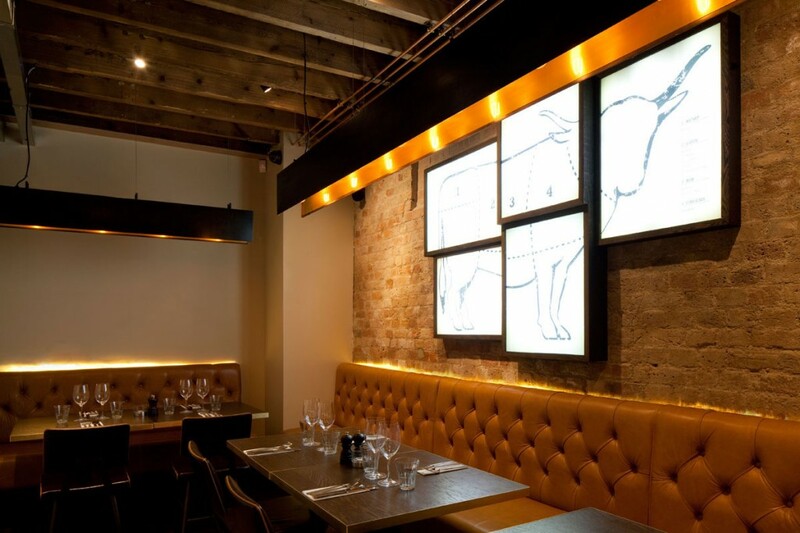 Bespoke feature lighting using halogen sources not only creates a modern industrial aesthetic that fits with the building’s interior, but also renders food well with a high CRI(colour rendering index). 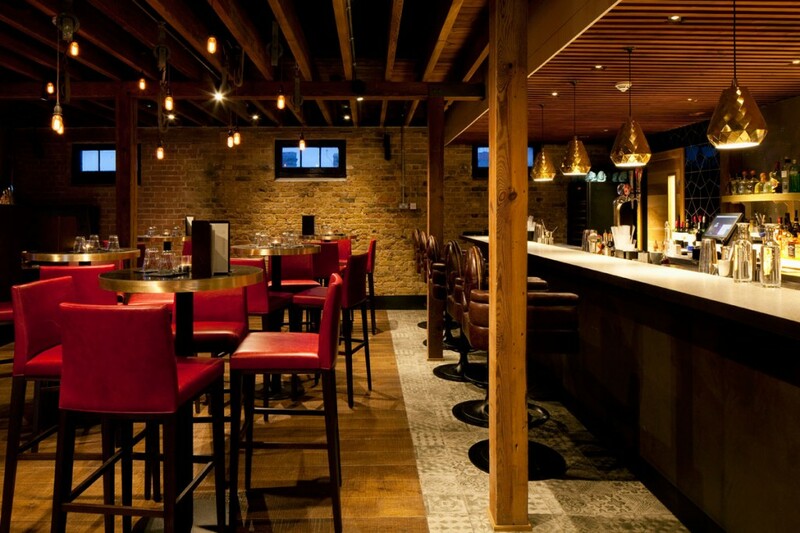 Varying bespoke designs in the multi-levelled venue creates distinct separate areas for the cocktail bar and the restaurant. 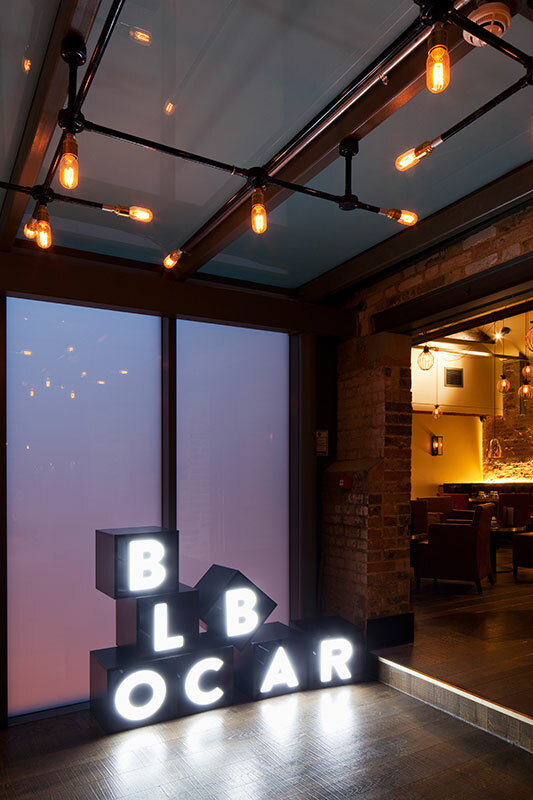 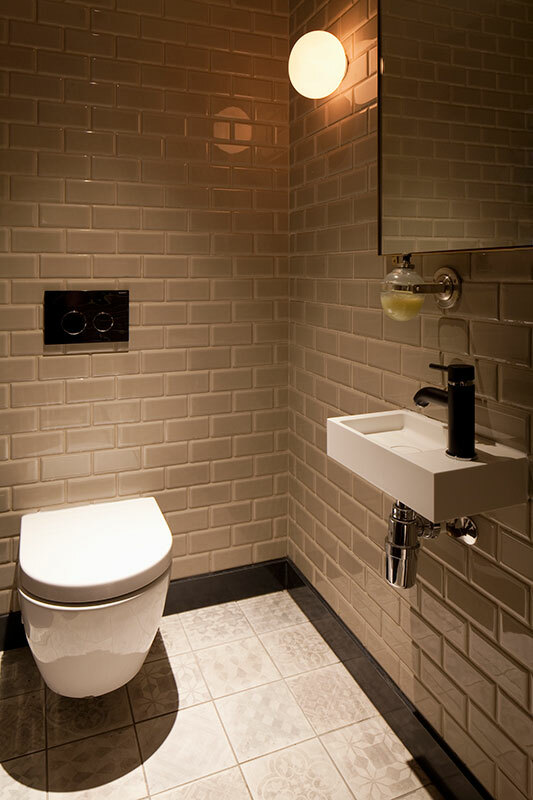 Overall the combination of ambient and accent lighting, inspired by existing structural elements, makes for an integrated and elegantly lit interior to Chop Bloc.